The Bay Lodging Resort is a casual lodging option close to all of the action on Put-in-Bay. However, it remains just enough away to provide a nice reprieve. The quiet neighborhood is just two blocks from downtown. The location is just a short walk from the majority of Put-in-Bay attractions, shopping, and restaurants. There are over 50 guest rooms available including suites. Additionally, the resort offers golf cart rentals right at the resort. Be sure to look for great promotions throughout the season. Oftentimes, excellent values can be discovered, especially during a midweek stay. Be sure you always compare rates directly with the hotel as online travel agencies often charge much more. 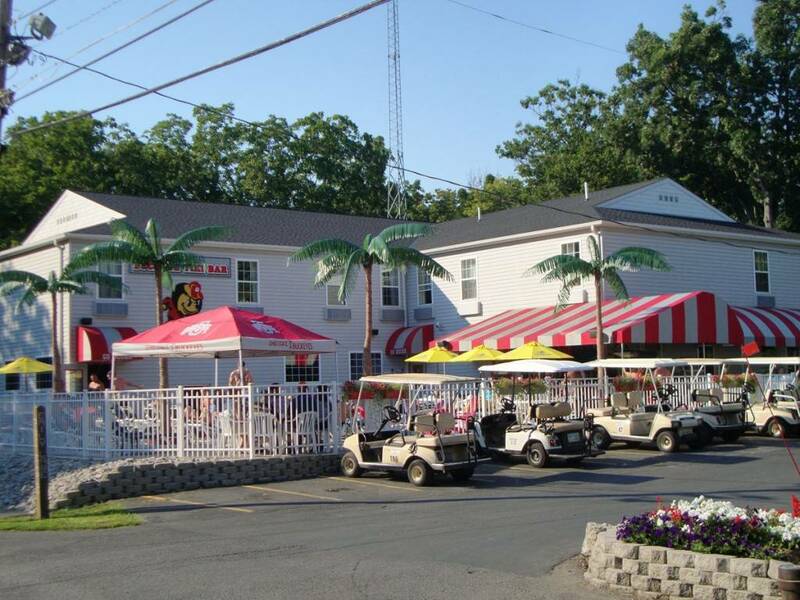 For helpful information on getting your best Put-in-Bay Hotel Rates click here: So, with a great location and value, the Bay Lodging Resort is a great option. Planning a trip to Put-in-Bay is easy with all of the great resources available. Guests have the chance to ensure that they will experience the many great offerings. Venture to the top of Perry’s Victory and International Peace Memorial or take a leisurely stroll down Delaware Avenue. Furthermore, the Victorian architecture and charm of the downtown buildings are sure to delight. Comfortable 2 bedroom family units with full kitchens. Guests at Bay Lodging Resort are also welcome to use the facilities of the Put-in-Bay Resort. Here, the Blue Marlin Tiki Bar awaits with a full bar. A large swim-up pool bar and monstrous hot tub complete the space. Also, the Put-in-Bay Pizza Company is located here. A variety of pizza, grinders, wings and more is available. Moreover, delivery to the Bay Lodging Resort is free of charge. Check The Reservation Page for availability. Many dates do fill quite fast. So, guests are encouraged to make arrangements well ahead of time. Don’t be left out on a fun island adventure. Book Today and save your spot. So, come to the gem of the Lake Erie Islands, Put-in-Bay, and stay in comfort at the Bay Lodging Resort.